Genesee RiverWatch is hosting a workshop on March 28, 2018 in the Visitors Center at the Mt. Morris Dam. The topic is "Streambank Restoration in the Middle Genesee River Basin”. This event is open to the public. Please join the conversation! 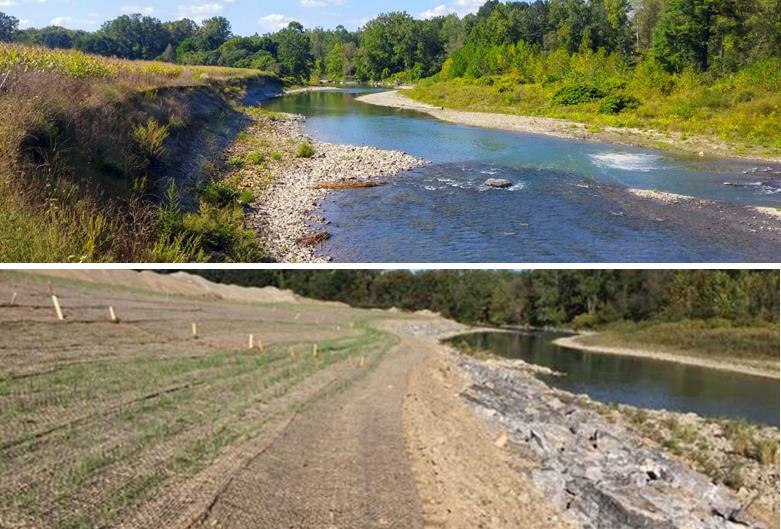 Streambank restoration reduces sediment and phosphorus loads to the Genesee River by reducing erosion and run-off. · Provide an overview of Genesee RiverWatch's work on a basin-wide restoration plan to restore streambanks. · Review the Genesee RiverWatch study that identified the magnitude of restoration needed in the Middle Basin. · Solicit feedback and input on options to identify areas in need of restoration. This event is open to the public and is free. Thank you to our 2018 Supporters! View our new Fall 2017 Newsletter! New York State Department of Environmental Conservation (DEC) welcomes angler observations as DEC begins its angler diary program on the Genesee River in Allegany and Wyoming counties. The diarist program aims to record dates for trout and bass fishing trips on the Genesee River from the Pennsylvania line downstream through Letchworth State Park from March 1st through October 31, 2017. "Angler participation in this program is greatly appreciated and will help us to evaluate the Genesee River's fishery quality," said Regional Fisheries Manager Mike Clancy. "This is a great opportunity for anglers to contribute observations and help shape future fishery management actions." The Summit is relevant to anyone interested in the recreational appeal of the Genesee. This includes direct users such as boaters, fishermen, hikers, bikers, and birders. It will also be useful to those interested in improving the economic and social appeal of our river assets such as business owners, government officials, farmers, elected representatives, economic development professionals, engineers, educators, media, and conservation groups. Expert speakers will provide a comprehensive summary of the Genesee Basin’s existing river access and recreational opportunities. Economic development and government officials will describe the importance of these resources to economic opportunities and quality of life along the entire river from Pennsylvania to the Rochester Harbor. Attendees will hear examples of work being done on other rivers and plans in the works along the Genesee. Finally, in keeping with past Summits, participants will be asked to contribute their opinions and suggestions for future work. 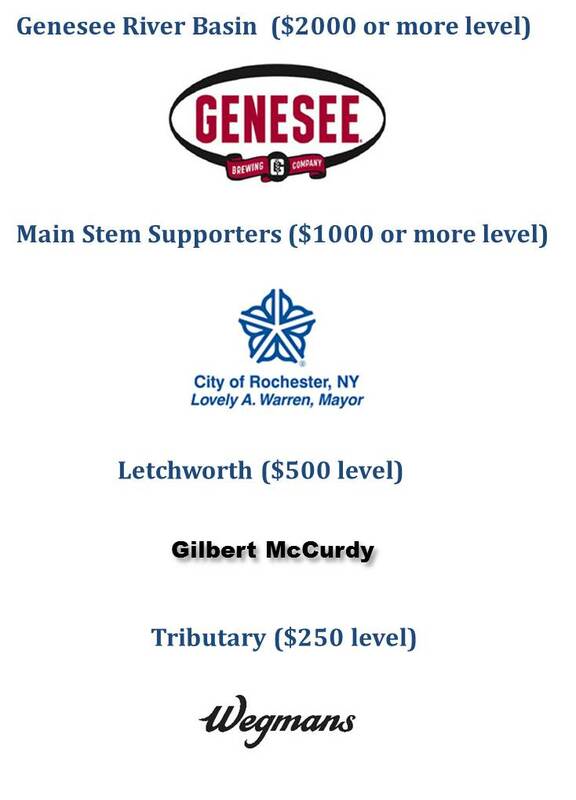 The inaugural Genesee River Basin Summit in 2014 launched the Genesee RiverWatch initiative and focused on gathering ideas for priority projects in critical portions of the Genesee watershed. The 2015 Summit sought stakeholder input in the design of an annual “Genesee River Basin Report Card”, scheduled for release in 2017. Last year’s Summit focused on “Streambank Erosion, Soil Loss & Sediment” with strategies to preserve valuable farmland and reduce levels of sediment and harmful nutrients in our waters. Braddock Bay currently is undergoing a major habitat restoration project that is expected to be complete in 2017. One of the issues raised in the evaluation of restoration options was how would the on-going release of phosphorus into the Bay from the five sub-watersheds that drain into it affect the water quality in the Bay once the restoration work is complete. An evaluation of the sources of phosphorus into the Bay had not been done. The Monroe County Department of Environmental Services (DES) has quantified the relative contribution of most of the watersheds within the County to overall phosphorus loads except those that drain into Braddock Bay. Based upon that information DES recommended that a study be conducted to determine distribution of pollutant loads which would become the basis for determining further management actions. The relative contribution of a variety of sources that discharge phosphorus into the five sub-watersheds that drain into Braddock Bay was estimated using MapShed modeling software. The Salmon Creek and Brockport-Otis Creek HUC12* watershed accounted for most of the phosphorus loads to the Bay. Streambank erosion, septic system failures, hay/pasture management, and farm animal management were identified as the major contributors to those loads. Recommendations were made for further study.